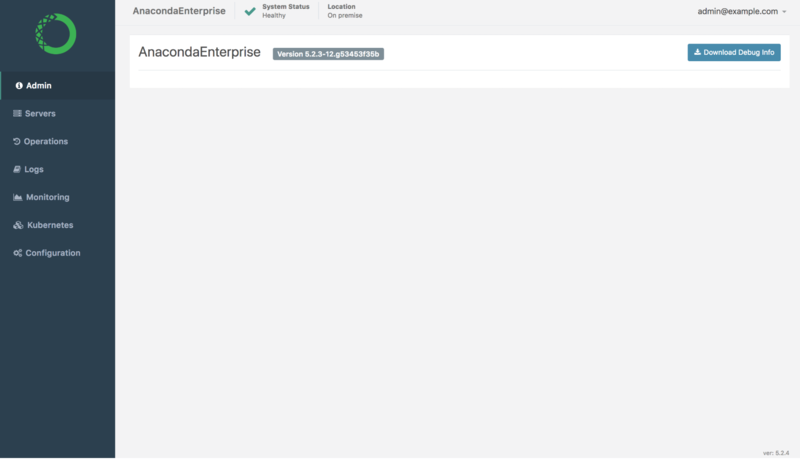 Anaconda Enterprise provides separate consoles for System Administrators to perform tasks related to each aspect of configuring and managing the platform, with credentials required to access each console. This gives enterprises the flexibility they want—and the security they need—to choose whether to grant the permissions required to access a particular console to a single Admin, or several different individuals, based on their area(s) of expertise within the organization. Configure TLS/SSL certificates used by the platform. Create and share channels as a way to distribute packages to platform users. Bundle collections of packages and their dependencies into environments. Create custom installers, Cloudera parcels, and Management Packs. Click Manage Resources to log in to the Operations Center. The credentials required to access this console are set during the post-install process, and can be updated following the process described here. Connect to—and federate users from—an existing identity provider. Configure user access to the platform and its resources. Create groups of users—and map roles to these groups—that reflect the needs of your team(s). Configure session timeouts for platform users. 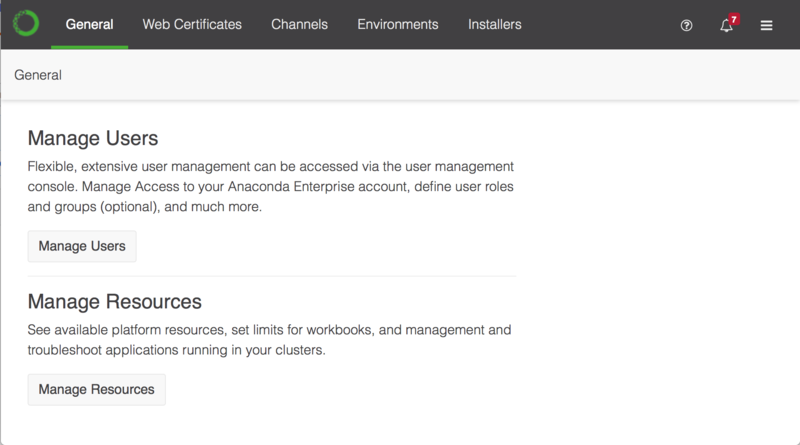 Add and remove server nodes from your Anaconda Enterprise cluster. Configure and monitor the utilization of your AE cluster resources. Configure advanced platform settings, such as whether to use an external version control repository, or an NFS share. Create and manage access credentials for Operations Center Admins.